As the experts say "Form is temporary, class is permanent". 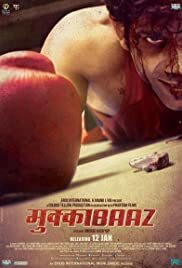 And Anurag Kashyap has come roaring back to form with 'Mukkabaaz'. Although one can argue that he never was out of form except for 'Bombay Velvet'. In this do-or-die movie, as stated by Anurag Kashyap himself he shows his true class. The dark narrative, brutish characters are all present in this film. 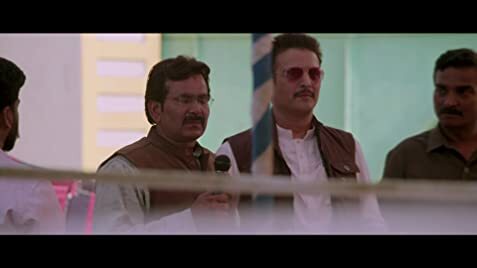 The protagonist Shravan Kumar(Vineet Kumar Singh) is an aspiring boxer from Bareilly who trains under a retired boxer and present state minister Bhagwan Das Mishra(Jimmy Shergill) and falls in love with his mute niece Sunanina(Zoya Hussain). But Bhagwan, a Brahmin treats his boxers more like his laundry boys. This irritates Shravan and the two have an early faceoff. But Bhagwan is the real Godfather of Bareilly who can clutch anyone he wants under his feet and all he wants is to never let Shravan take part in any Boxing competition ever. This is where Kashyap is a treat to watch. He gives you these Scorsese-Tarantinesque characters who can you flinch with their terror and Bhagwan is exactly the same no-nonsense kind. He has no emotional vulnerability, no principles and will use his whole power to do anything he wants "Kyunki wo Brahman hain,wo aadesh dete hain" and its your duty to oblige. On the other hand there is Shravan, determined to achieve both his passion and his love. He is ready to fight every situation but is desperately running out of time. Finally he meets Sanjay Kumar(Ravi Kishan) is a Boxing tournament who immediately takes him under his wing. He starts to train Shravan for the State-level Championship, the only way for him to marry Sunanina. It is only Kashyap's excellence which even makes a love story this dark. You can sense the tension building in the second half but even then its impossible to predict the brutality in the second phase. Its noticeable that the whole focus of the movie is on Boxing and not the romance. Boxing is central to the film thus touching the plight of the sport in the state and country as you hear "Boxing pe picture banti hai to 40 crore kamati hai, par boxing tournament hota hai to chaalis log bhi dekhne nahi aate". The federation is being run by goons turning and twisting the sport according to their own benefits. Zoya Hussain is a fresh surprise in her debut role. She manages to express the anger of Sunanina beautifully with her eyes without speaking a single work. Ravi Kishan does not have much screen time but is a delight to watch throughout. Its baffling to see how such a talented actor has been underutilized in the hindi film industry. Jimmy Shergill another stereotypes underestimated actor has nothing new which he hasn't done in the past. He plays the same corrupt minister who turns the system as per his own wishes. But he presents himself with such brutality you can literally feel the anger brewing inside you against this man. Though it is Vineet Singh Sharma who captures the screen in his first central role. One of Anurag Kashyap's trusted Banner-men, Vineet is ferocious, flamboyant and flawless at the same time. He makes you feel for Shravan without showing weakness in a single frame. And what to say about Anurag Kashyap himself. 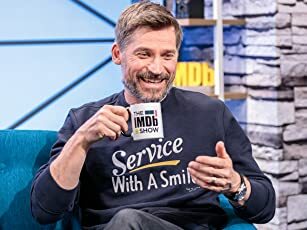 He has made the actors act with their eyes rather than their words. This is where he is at his best. Where he tells the story of an underdog fighting against the system. The dark reality of the small towns where the God-men run the system without any intrusion. He has hit the right straps with 'Mukkabaaz' and we owe it to him for giving such peerless start to the new year. 'Mukkabaaz' sets the benchmark for this year's cinema. Go watch it now you can see the 'Tigers' in Corbett.